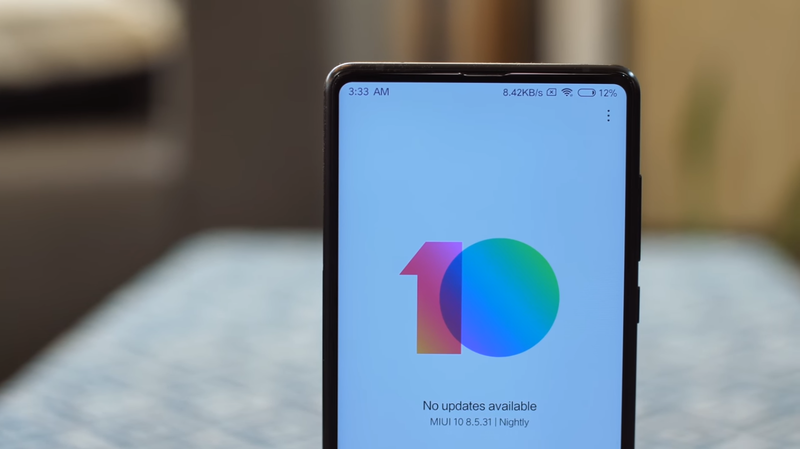 Nubia UI is a custom Android UI developed by the Chinese multinational smartphone company, ZTE for its subsidiary brand Nubia. It is a highly customized OS with lots of innovative features and is based on AOSP. 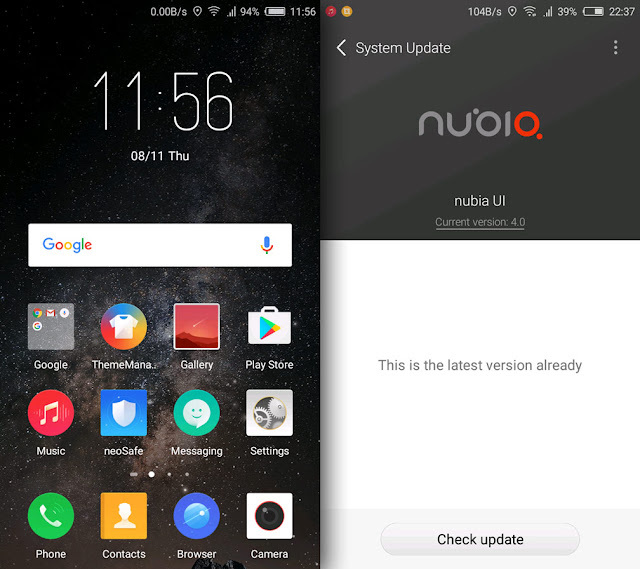 After getting many custom ROMs developed for it, YU Yureka now gets the smoothest Nubia UI 4.01 Stable ROM. This ROM was originally developed by Nubia devs for Nubia Z9 Mini and is ported by me for YU Yureka and Yureka Plus. 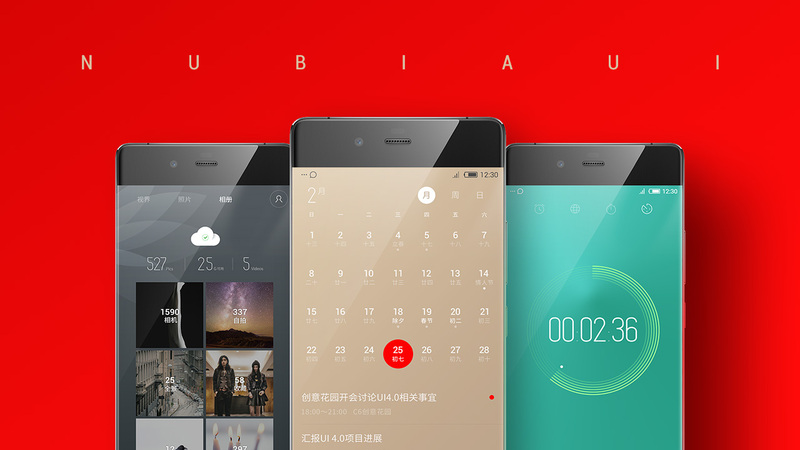 This Rom is ported from the latest Chinese Nubia UI 4.01 for Nubia Z9 Mini. But the ROM is fully Englishized by me, so no Chinese element in the ROM. Nevertheless, since this is a ported ROM don’t expect zero bug. Interface: Nubia UI has a simple and smooth layout with many customizations. It’s icons are beautifully designed and it supports third-party themes through its Theme Manager app. Performance: It performs ultra-smooth while saving a lot of battery juice at the same time. It uses LucidLogix PowerXtend, GameXtend and NavXtend technologies which manages CPU and GPU according to our tasks and thus provides the best performance and battery backup. It also supports NeoPower 2.0 technology which takes your battery life to new heights. Camera: Nubia Camera is awesome with many outstanding features and PRO (Manual) Mode. The latest camera software is powered by NeoVision 6.0 technology which adds new features and improvements. 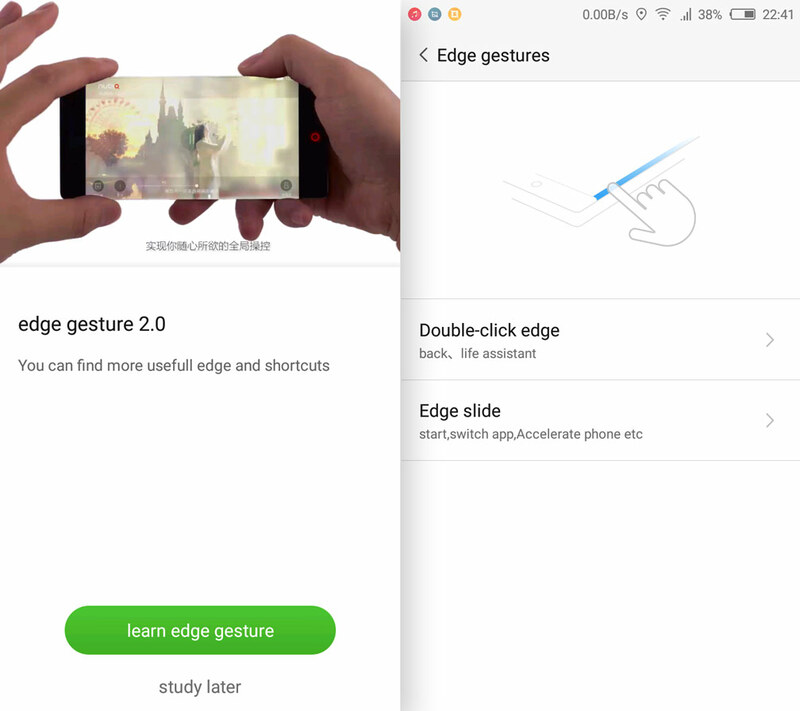 Gestures: Nubia UI supports lots of gestures along with very innovative edge-gestures which makes our tasks a lot easier. 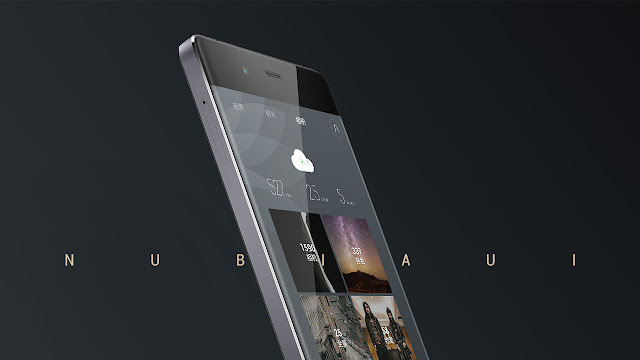 Split-Screen: Nubia UI supports a very different split function from other smartphones. It can realize the whole split screen, no matter what the interface. It helps a lot in multitasking. 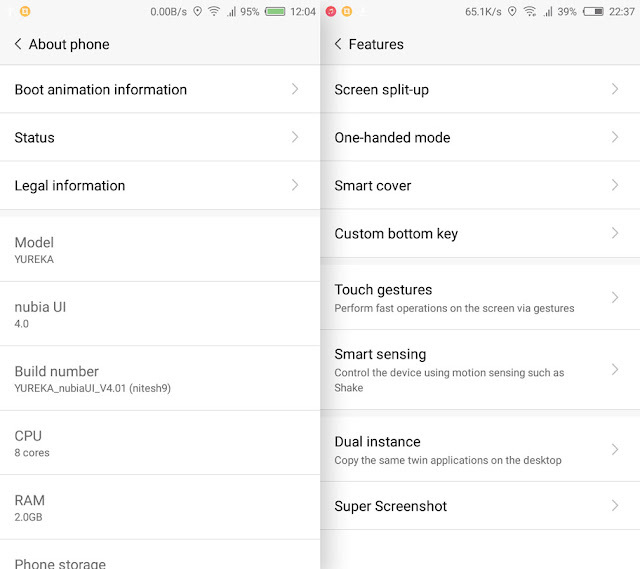 Long Screenshot: Nubia UI 4.0 supports long-screenshot function, just like MIUI 8. 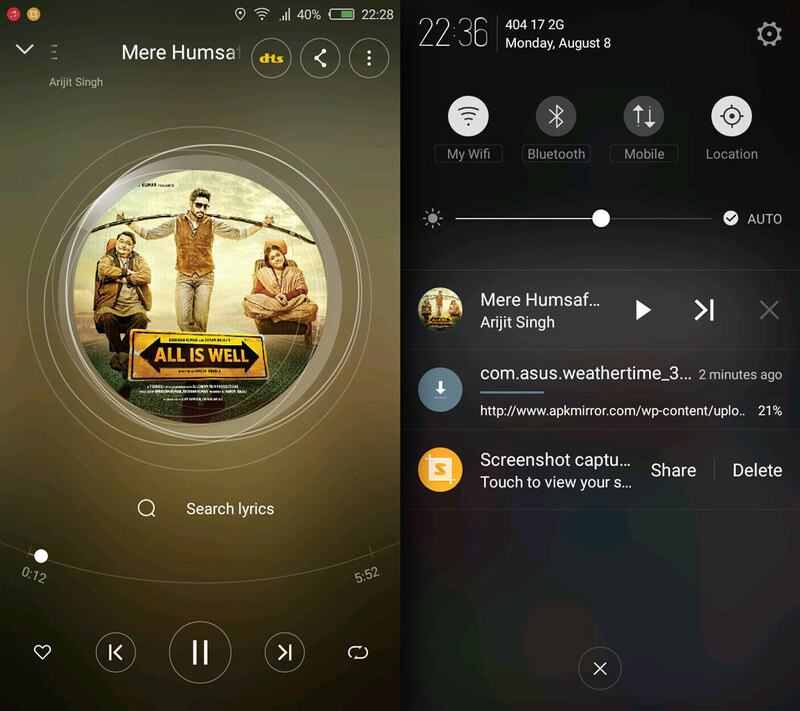 App Splitting: Nubia UI 4.0 supports app-splitting (similar to MIUI 8 Dual apps). Through this function we can duplicate an app (e.g. Whatsapp) on the same phone and login it with different accounts and use them simultaneously. Note: If again doesn't work then manually replace the wlan files from Patch 2 in /system/etc/firmware/wlan/prima/ by using ES File Explorer or any other similar app. Toggle SIM Activate/Deactivate in "SIM Card Settings" to enable SIM after reboot. If you face Gmail Sync issues then install Adaway and enable ad blocking. This will fix hosts file and Gmail Sync. Not all functions work but some may work like advanced reboot etc. Just give it a try. Then open GravityBox [LP] and go to Display tweaks >> Button backlight mode >> Always on while screen on. This will enable double tap status bar to sleep function. 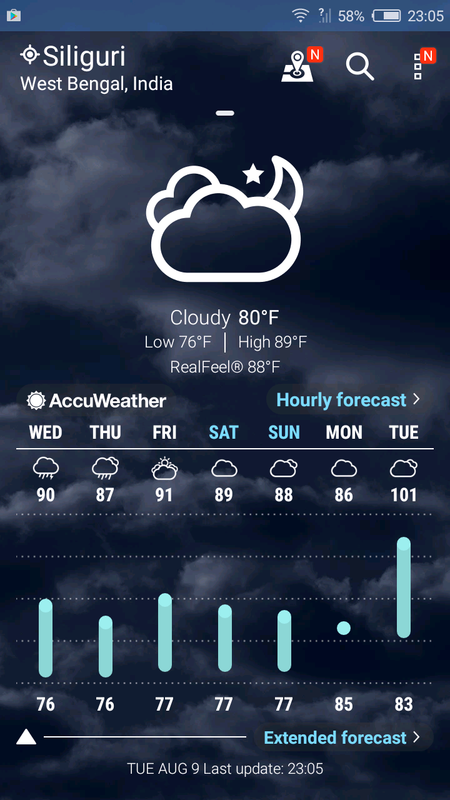 Asus Weather app is recommended as Weather add-on for Nubia UI 4.0. Neither of your ROMS are working Nitesh. I downloaded and flashed Color OS. That Failed. Now I downloaded this. It failed too. Seems like you are not doing it correct. It's working for everyone, you may see in the comments and in forums. It may be your device issue..or probably your phone's battery. But without mobile data useless , ples fix mobiel toggle data ..
Can i install this ui 4.0 in my nubia n1 lite.